If you have more than five employees and have more inventory than you can count, you need a POS system for your business. Cash registers just won’t cut it anymore in today’s small business atmosphere of speed, efficiency and customer service. But just like everything else, getting a POS system installed in your store costs money. Some are more expensive than others, while others are almost free. POS systems come in many forms. Let’s take a quick look at them so you can see where you fit in. First, you have old school or legacy POS systems that a lot of brick and mortar establishments still use today because of their reliability, employee familiarity with the system and brand name recognition. The big and bulky, all black, all business POS systems you see in most large retailers and restaurants are probably from the “Big 4” of the industry, namely Oracle, IBM, Micros and NCR. People buy them because they’ve been at it longer than everyone else and they know their stuff. Next you have your mobile POS system, which require very minimal equipment to run and can work on iPads, personal computers and Android tablets. These newer, lightweight systems are quickly gaining popularity because of their affordable price, ease of use and automatic online back-up capabilities ensuring your data will be kept safe should something bad happen. These systems are very sleek and smaller than legacy systems. Then you have the almost free POS systems, which can be from big or small companies. They would often offer their product free for ultra small operations, no strings attached (for example: 10 products in inventory, 1,000 customers, 1 register) or you get their whole system for free, but you have to pay for other features like credit card processing, in-depth reporting, extra terminals, etc. Lastly, you have the free POS systems. These are usually open source software and will work on any windows and Linux PC. You have to be prepared to read through the installation process and how to operate it though, because you will get little to no support from the developers aside from the few articles and blogs that are related to that particular free POS system. Also, since some of the freeware is developed by either one guy or a small team, updates and patches for bugs might be few and far between. But free doesn’t necessarily mean lacking, as the free systems can go head to head and feature for feature with the paid products. You just know how to really use the system to get the most of it. Free POS systems are only worth your time if the program is well designed and simply works out of the box. The time needed to master it and set it up won’t really matter if the program runs smoothly and helps your business the minute you fire up the system. If it doesn’t work as advertised though, and if you slog through every practice session and initial set-up, then it’s definitely not worth it. You’d end up losing valuable time and money in the long run. You also have to consider other costs like the computer to run the system on and other items such as a receipt printer, credit card terminal, cash drawer, pole display, extra station, stable back-up and bar code scanner. You can get these items cheap online or you can buy used, as long as it works and serves its purpose. In the end, your budget will determine what you get. Ask yourself what you need first. 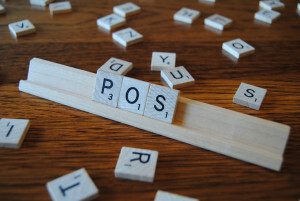 Assess the needs of your business, and if any of these POS types can address it. POS systems can either be super expensive or dirt cheap. If you got the funds, I suggest you get the subscription based mobile POS systems because they’re more affordable, scalable and those tablet POS systems just look so good. You’d be getting continuous updates, 24/7 support, training and set-up assistance. But, if you’re willing to train yourself on a free system so you won’t have to pay for a subscription, you can do that too. But remember, you may not get any support at all if something catastrophic happens. Always back-up your data on a portable HDD and in the cloud.